Offering a chance to remove the wall of our classroom. Some of the 8th graders in my language arts classes had the chance to Skype with some of Mrs. Kazachuk's students from Odintsovo, a Moscow suburb, Russia about the "What We Eat, What They Eat, and Why" project we are engaged in. Both groups learned a great deal about things that are different between both places and cultures and about how similar things are at the same time. Thanks to Elena Kazachuk and her students! What a powerful connection. I will soon share the link to the Google Slide Presentation we are creating together with some other schools as well. What a great connection! We look forward to talking with them more! 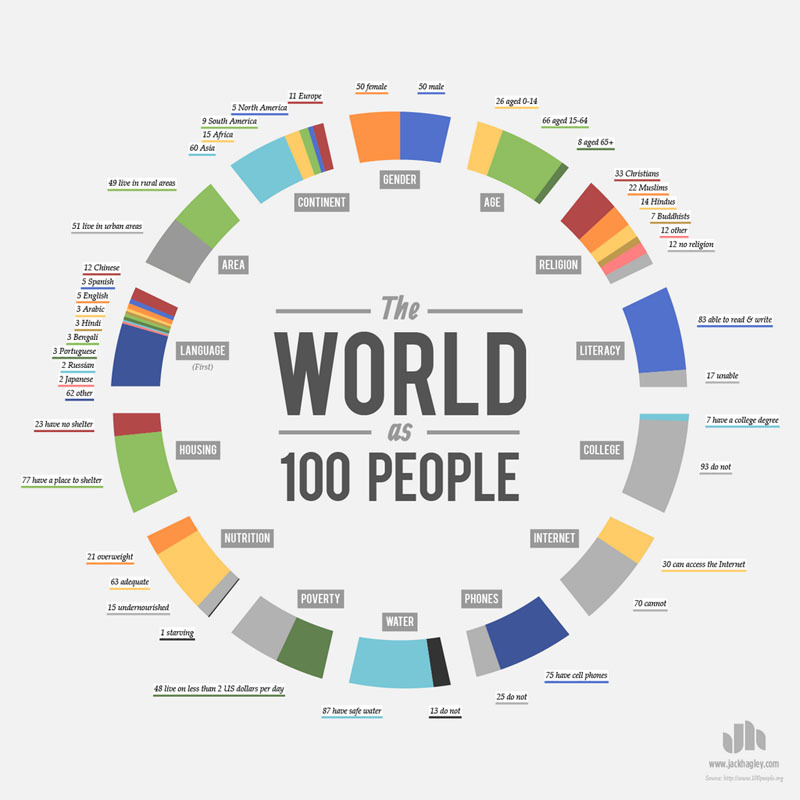 Great way to put into perspective what we have and compare that to others on this special blue planet. Why is this the way it is? Great thought and discussion promoter too! 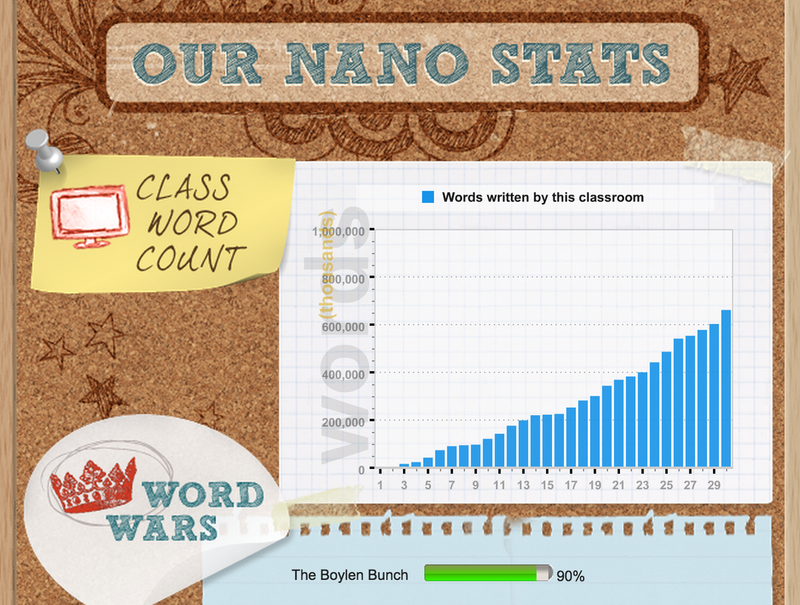 Our 8th Grade NaNoWriMo YWP Stats for 2014! 7th Grade Literature, 8th Grade Language Arts, 7th Grade Futures, and 8th Grade Environmental Studies.